If you’re not familiar with the different bourbons and whiskies made by Jim Beam Distillery you may want to review their break down of mash bills. Jim beam uses 2 different mash bills for their bourbons. A low rye (around 13%) and a high rye (around 27%) mash bill. If you’re a frequent reader of Bourbonr you know I love comparing the effects small differences have on a bourbon. 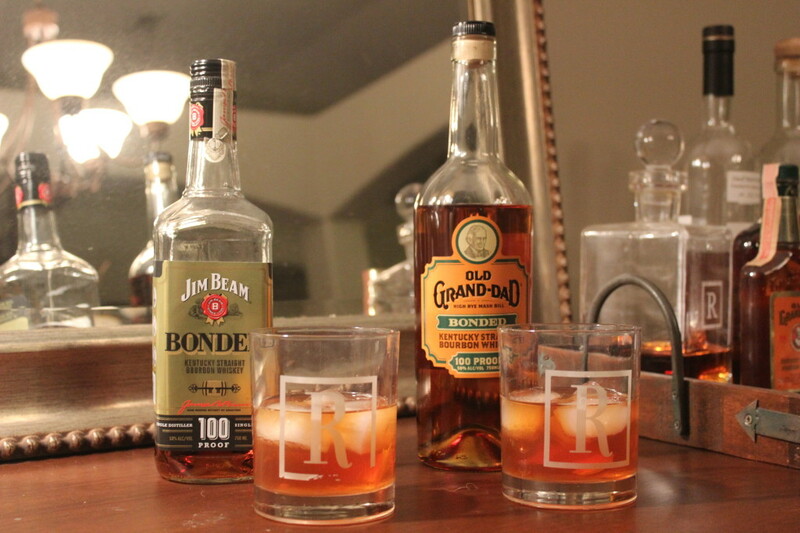 Since Jim Beam released their new Jim Beam Bonded I decided to see how it compares to Old Grand-Dad Bonded. Both bottles are the same distillery, age and proof but differ by the amount of rye in their mash bill. The nose is sweet and spicy. Similar to spiced cookie. That taste is hot but that’s to be expected at 100 proof. There’s vanilla, black pepper that transition to wood notes on the finish. Charred corn rounds out the finish. Initially, the nose is very similar but not nearly as sweet. It reminds me of baking spices mixed in with pepper. There’s also more nutty notes on this notes but I don’t get that as much on the taste. That taste has more fruit notes like a mango chutney. This was a tough decision. While drinking them neat can be a little hot, they’re still both pretty good. 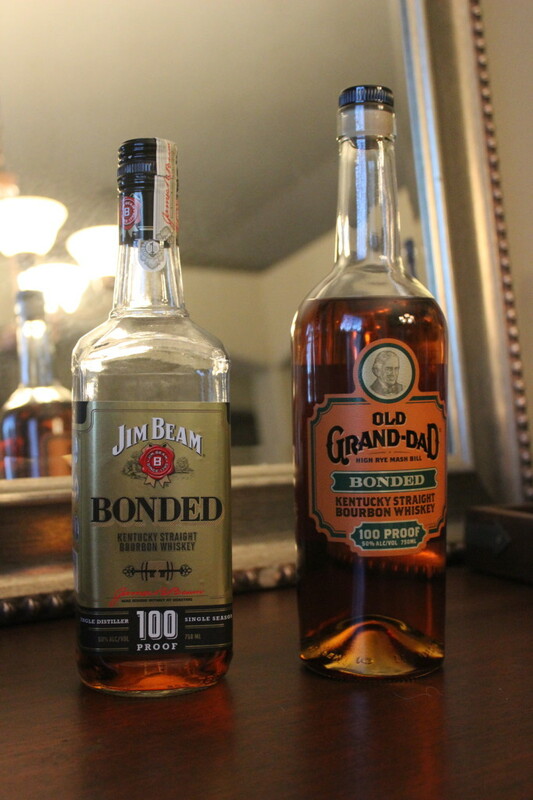 If I’m choosing based on neat I’d select the Jim Beam Bonded but for cocktails I’d pick Old Grand-Dad Bonded. Since both are around $25 or less I’d suggest keeping them in your home bar.